Did you eat a lot of junk, candy, treats, or whatever you wanted over the holiday season? I sure did and I knew I needed a hard reset button. I just started a 3 day juice cleanse to start my 2016 year off right, because we all know we make health resolutions at the beginning of the year in hopes to change our eating habits just a little bit that year. And starting with this Juice fast is setting me off on the right foot. I am slightly passionate about healthy and juicing, so I am apologizing right now for the length of this post. And I didn't even get to all that I wanted to write! 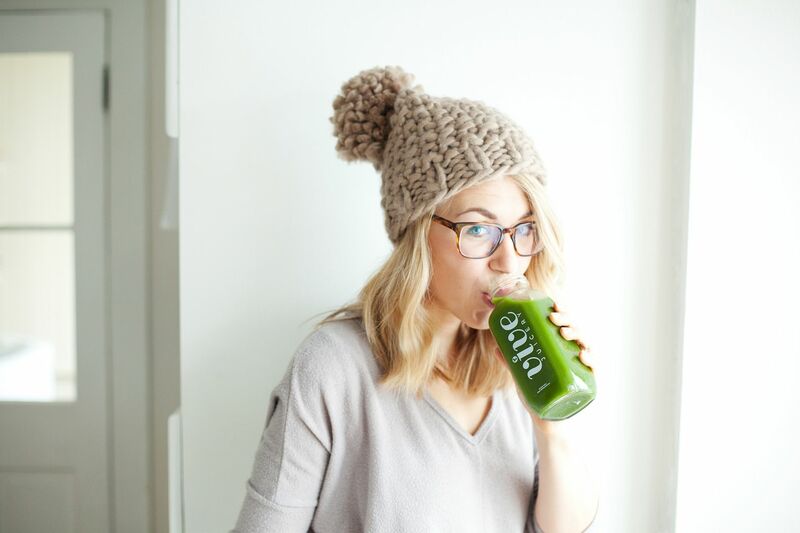 A juice cleanse can sound kinda daunting to some people, and it did to me at first. The first time I did a juice cleanse was a little over 5 years ago. Since then I have done at least one juice cleanse a year if not more. And over the past few years I have learned so much about a juice cleanse, how to do it right and not just starve myself! 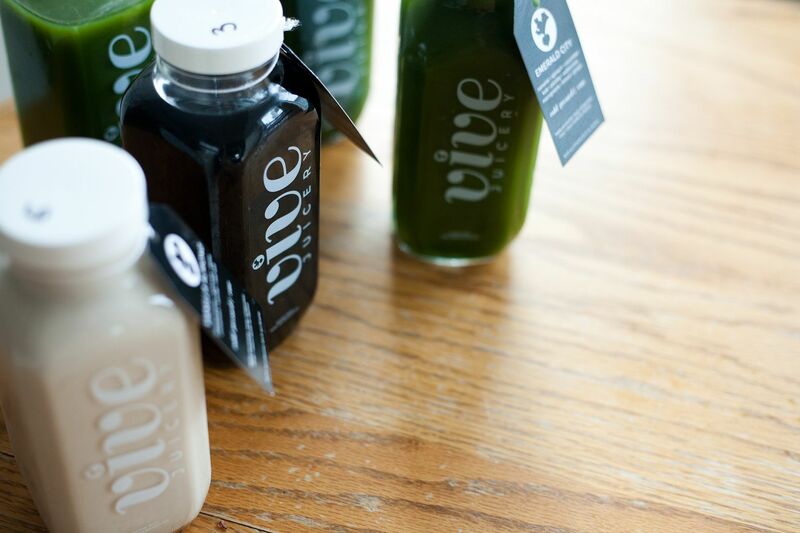 This year, I was lucky enough to work with Vive Juicery to do this cleanse and it has been heaven!!! I usually have to juice the fruits and vegetables myself, figure out a menu, do the shopping, and clean up the mess while still trying to chase after 3 boys, and this time I haven't had to it! So it really has been amazing. Plus their juices have blown my mind, with how good they taste, and the ingredients they put in them. If you don't have a juicer and are looking to jump start your health this year, please check out Vive Juicery. The first time I did my juice fast I read about fasting and followed the guidelines in Prescription for Natural Healing. This books is so perfect for all around natural healing, but it has some really good tips and guidelines for a juice fast that I still use till today. Its a book that I love to have on hand to refer back to as it acts as a doctor that I have right in my home. The second time I did my Juice fast, was right after I watched Fat, Sick and Nearly Dead. It not only inspired me, but completely changed the way I looked at Juicing. Its a great documentary and I highly suggest watching it because it makes you realize how much our body depends on us to feed it good, nutritious foods. After these first two juice fast I've continued to read and learn more from others and from other good online sources. So what I have learned from all the times that I juiced?? The major tip I would give is to be informed about what you are doing. Read about what the benefits (because there are SO many) this will help you stay motivated so you understand the healing that is happening within your body. Another tip is to prepare, prepare, prepare! Juicing is tough (well it is at least for me because I LOVE food) but if you don't know what or why you are doing the cleanse or aren't giving your body the right nutrients, than you are basically starving yourself and it won't be beneficial. When you juice, I like to think of it as giving your body a vacation. On a vacation you usually mediate, rest and let those stresses go away so that you can be ready for the real world again. Similarly, we eat a lot, and sometimes its not always the best foods, and because of that parts of our body start to wear down. Our digestive track and organs gets quite the workout trying to break down those hard foods and find whatever nutrients it can find to feed the rest of our body. When you are juicing, the organs get a rest and the nutrients from the juice are already in tiny molecules and are immediately used to repair and build anything that has started to wear down in your body. Also, by relieving the body of the work of digesting foods, the body is able to rid itself of toxins. Before you juice you need to make sure you prepare your body, you slowly wean out grains, nuts, legumes, and any processed foods. Typically I like to eat just raw fruits and vegetables for 2 days before the fast. That way the body isn't in too much of a shock. You'll also need to take a good fiber supplement, I like to take magnesium to help cleanse the colon before and after your fast. But not during! For me, juicing has been a constant stable. Its a hard reset and it always, always get me on the right track. It makes me feel so great during and after the fast. I've heard that many people, especially celebrities will do juice fast to hurry and shed a few pounds. You do shed a few pounds, but it'll come right back if you go back to eating all the junk you were before. But if you do it the right way after you finish a cleanse you can maintain that weight and continue with healthy eating habits. Its very important to how you end your cleanse. The effects of the fast can be ruined by eating cooked foods immediately afterward. So follow up the fast with a two-day diet of raw fruits and vegetables. One benefit to after having a juice cleanse is the sensitivity you develop to your diet and your surrounding. Your body craves the good stuff and your more satisfied with natural sugars and whole foods. That is defiantly a high after you finish a cleanse, you realize how much more self control you have over what you eat. Always empowering. Some facts about juicing that always gets me so excited and motivated. "Fresh Vegetable juices are restorers. They boost the immune system, remove acid wastes, and alkalize the blood. 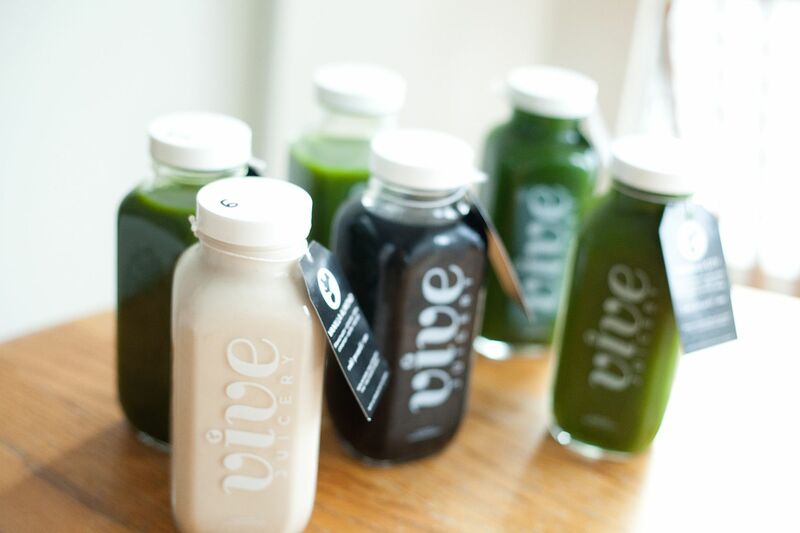 Green juices cleanse the body of pollutants and have a rejuvenation effect. Made from a variety of green vegetables, green juices are rich in Chlorophyll, which helps to purify the blood, build red blood cells, detoxify and heal the body and provide the body with fast energy. " Those few sentences are what help me get through when I'm starting to wonder why I am doing a cleanse- because like I said its hard! BUT It took years to wear your body down, and it will take time to build it back up to its peak condition. But by changing few things, getting rid of unwanted foods, adding more juices and cleansing you body it can and will improve your health. That was a lot of information, and I still didn't cover all the in's and out's of a Juice Cleanse. However, if you any questions, or comments please leave them below and I will try my best to answer them. Or you can also email me with any questions! 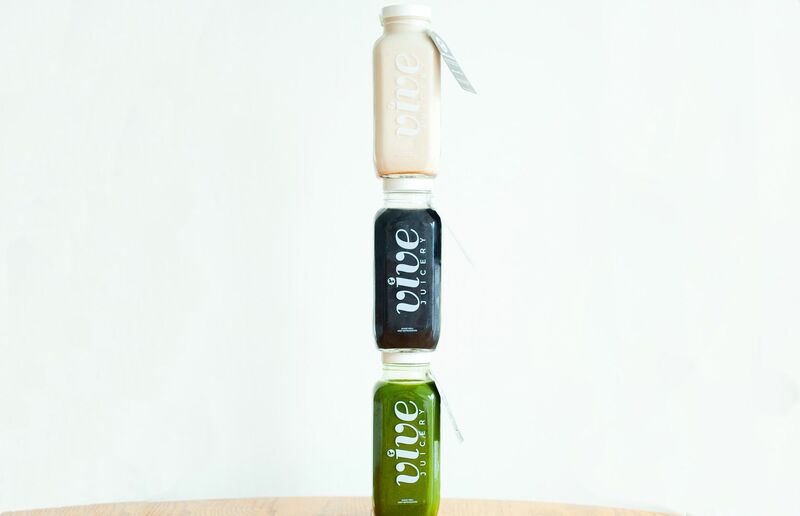 And again a huge thanks to Vive Juicery, their juices are powerful, fresh and energy boosters. 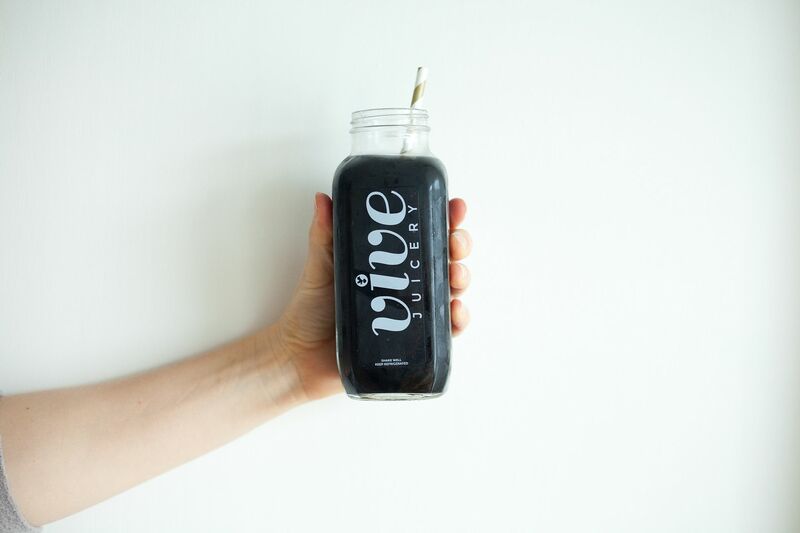 I have so many favorite juices from their menu, but if you are going to try any of them try the Sensi- (activated charcoal + Cayenne pepper you can read the benefits here and all the other ingredients are just so good) and The Hulk- SO much goodness in it!! Give yourself a healthier way to live and start incorporating more juices. This is so Interesting! I have been reading a lot about fasting in general and all the many ways we can fast to achieve spiritual enlightenment. I thought it was interested when you said you have to end the juice fast correctly or it undoes the things you worked so hard for. It reminded me how when we are doing a standard fast, stuffing our faces with dinner right after does the same thing and removes us from that spiritual state. Anyways, I might have to look into doing one of these! I should have gone to you about doing a detox cleanse. Next time we should do it together and you can share your fav recipes. That's a shame Vive doesn't deliver to Canada it seems! Shelby do you know of a good place for something like you have that delivers to Canada or is already available in Canada? That looks like a great idea...and yummy! Good luck with it. I should and will probably just ask you tomorrow when I see you in real human interaction, but to impress you with my reading your blog I'll ask here ;). Why juice and not just raw foods? My brother is a raw vegan as you know and says that juicing just removed the fiber, but you said to take vitamins to get fiber so it seems like you could just eat raw foods? There are lots of delicious juice recipes that we can discover. Feels refreshing! Some months ago I covered the three main Nintendo Wii Mod Chips that were available for purchase by enthusiastic Wii owners.